For 35 years we have been helping pool and hot tub owners with their concerns and questions. Bring us a 16 ounce sample of your water for a free computerized PROFESSIONAL analysis. 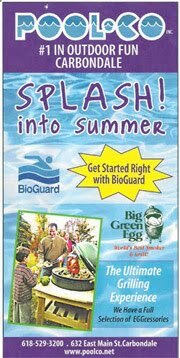 Pool and hot tub care is so easy with PoolCo and BioGuard. Fun too with the Friendly Carvells! Open Your Pool - Step by step details.... Read More!